Thoughts of warm summer vacations spent relaxing on a sunny beach will drive away any lingering winter blues you may be feeling. Those precious summer days will be here before you know it. Now’s the time to plan your summer getaway to our idyllic waterfront location. Duluth was recently picked as one of the “7 Wonderful Beach Cities In The US” by MostInside.com. 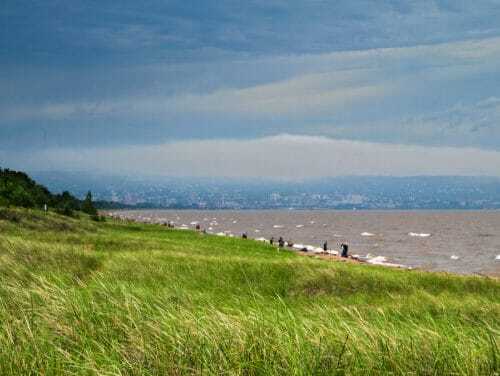 To quote the article, “The city of Duluth has so much to offer beach enthusiasts such that a single visit here will not be enough.” They also consider Park Point Beach a “must” when visiting Duluth. We at the Solglimt Bed and Breakfast couldn’t agree more. Our welcoming Victorian cottage is located on the water’s edge of Park Point. Guests here enjoy breathtaking 360 degree views of Lake Superior and St. Louis Bay from our porch and rooftop deck. In addition to wonderful views and beach access, Canal Park shops and restaurants are just two blocks away. Our reservation calendar fills up quickly, so book your summer getaway with us today. Surprise mom with a weekend getaway in Duluth this Mother’s Day. Why should moms only be celebrated one day in May? 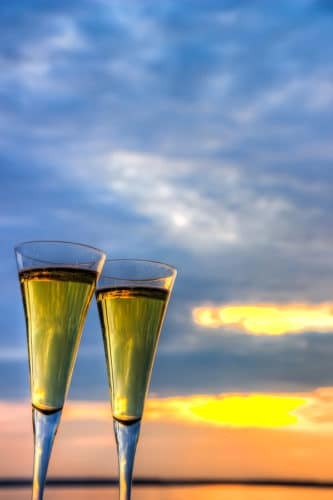 Instead share an experience together that creates wonderful, lasting memories. 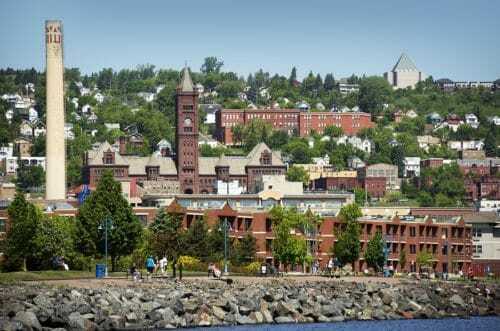 Duluth has a lot to offer and it’s easy to find fun activities. Start the weekend with a biking or kayaking tour. Treat your mom to a day of shopping on Canal Park and lunch overlooking Lake Superior. Then catch a show in the evening after a wonderful dinner. The Solglimt Bed and Breakfast offers a serene escape with 120 feet on the shores of Lake Superior. Our porches and decks (including our new rooftop deck) invite guests to slow down and take in the stunning views. Our tranquil location is also only steps away from great shopping, entertainment and dining. Book your getaway with mom and treat her to a weekend she will always cherish. Spring has arrived and summer is just around the corner. It’s time to think about warmer weather and summer vacations. Certainly, nothing cures the lingering winter blues like planning a summer getaway. The Solglimt Bed and Breakfast, located near Duluth’s summer playground, Canal Park, boasts 120 feet of shimmering shoreline on Lake Superior. Your stay with us will be even more magical lounging on our new rooftop deck. Our beautiful Victorian seaside cottage has always taken advantage of the stunning views from our porches and decks. Now the new rooftop deck adds a breathtaking 360 degree view of Lake Superior and St. Louis Bay. Our reservation calendar is filling up quickly and those valuable summer weeks are limited. Book your vacation with us today and start dreaming of a sunny retreat with many great summer adventures.